Paul Quinsee will be succeeding Martin Porter as the group's Global Head of Equities. JP Morgan Asset Management, a subsidiary of JPMorgan Chase, has promoted longtime company mainstay Paul Quinsee as its newest Global Head of Equities, according to a recent report from FINAlternatives. In his new role Mr. Quinsee will be succeeding Martin Porter, who worked for over 32 years at JPMorgan. 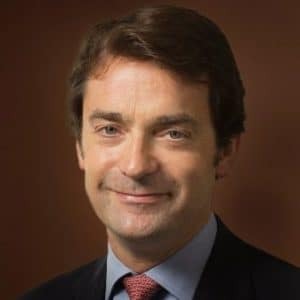 In this capacity, he will be based in New York, reporting to Chris Wilcox, JPMorgan’s Chief Executive of Global Investment Management – Mr. Quinsee will begin his role only in Q4 this year. Mr. Quinsee has been at JP Morgan for over two decades, having joined the lender back in 1992. During the course of his tenure he has held multiple senior level roles, including stints on its global equities team as a Portfolio and Client Portfolio Manager. Morevoer, he has also held such roles as its CIO, Core and Value US Equity, and Head of US Equity. In his most recent role as the Head of US Equity, Mr. Quinsee managed a team of investors responsible for over $200 billion of client funds. He has dealt with other company channels such as core, value, growth, and behavioral finance teams – he was promoted to the role back in 2014, whilst being based out of New York. Additional roles also include a position as a Portfolio Manager of European Equities at Citi, dating back to 1987, according to information made public on his Linkedin profile.